Mildred “Milly” E. Quade (Harris) passed away peacefully on April 9th, 2018 in Mesa, Arizona. Milly, was born January 1st, 1922 in Vandalia, Illinois to Rollie and Hattie Murrel Harris. She was one of five children and graduated from Vandalia High School. She married John F. Quade January 18th, 1941. She stayed home with her two sons during their younger years before working 15 years as a secretary for Tazewell County Educational Service Region in Pekin, Illinois retiring in 1979. Milly and her family spent many vacations camping in their travel trailer while seeing most all of the U.S.
John and Milly retired back to Vandalia for 10 years, wintering in Arizona, before moving full-time to Mesa, Arizona. They continued their travel in their retirement and enjoyed being part of the Airstream Club. 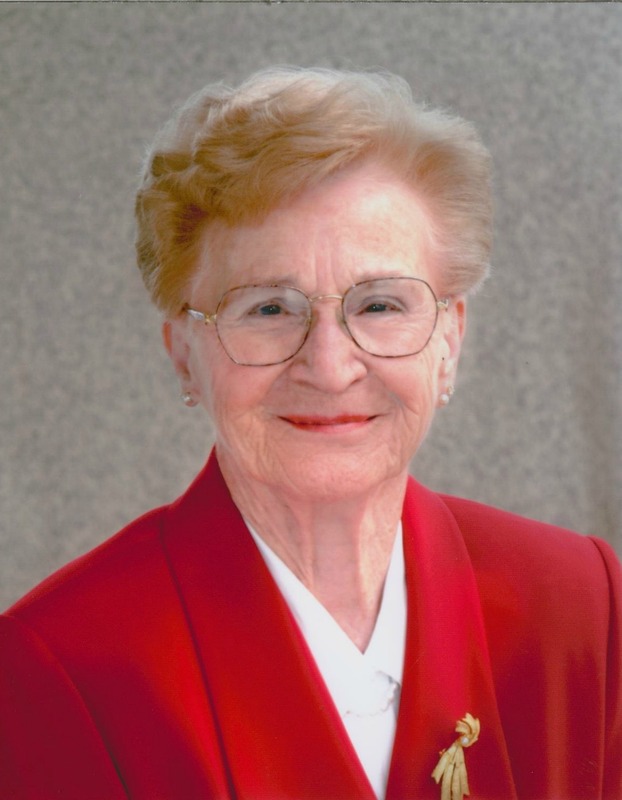 Milly was an active and dedicated member of the First Methodist Church in Vandalia, IL, Grace Methodist Church in Pekin, IL, and Velda Rose Methodist Church in Mesa, Arizona. She was very social and loved numerous activities in their retirement community as well as volunteering at the local hospital gift shop. Milly was a devoted sister, wife, mother, aunt, grandmother, and friend to many. Milly is survived by two sons: Fred Quade of DeKalb, IL, Gary Quade of Tempe, AZ; daughter-in-laws: Shelly Quade and Kim Quade; and four grandchildren: Emily, John, Cameron and Keaton. A memorial service will be held at Fellowship Square Oasis in Mesa on Tuesday, April 17th, 2018 at 1:00 pm. A graveside memorial service will also be held at Fairlawn Cemetery in Vandalia, Illinois later in May, 2018. Details will follow. All are welcome to attend to celebrate Milly’s life with us. In lieu of flowers, please send donations to Sunshine Acres at: 3405 N. Higley Rd. Mesa, AZ 85215. The family would like to thank the staff and caregivers at Fellowship Square in Mesa, Arizona for their dedication and care. So very saddened to hear this – I worked at Tazewell County when Millie worked in the ROE Office – She was a very pleasant lady and very kind to me. Sorry for your loss. I worked with Milly in the Superintendent’s office back in 1972-73 while a student at PCHS. I learned a lot from her. She was such a kind person.